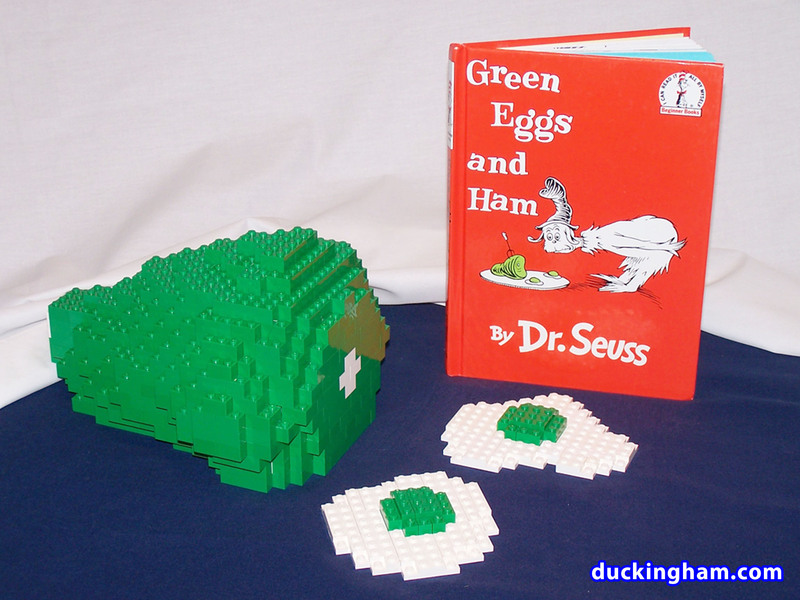 Read more about Theodor Seuss Geisel on Wikipedia at or check out the fun at Seussville. Tomorrow, Tuesday August 7th we’ll be doing a free children’s LEGO mosaic build at the Educator’s Marketplace in Greenville, SC. 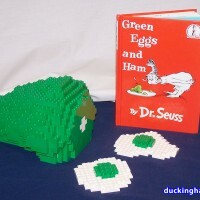 This was probably the most popular LEGO mosaic we did for BrickMagic 2012. Easily recognizable, and from a very popular Disney Channel cartoon. He’s definitely *my* favorite secret agent. The build is made up of 24 16×16 baseplates built with 2×2 bricks. Every Plumber Needs his Princess! LEGO Mosaics ~ May 28, 2012 Comments Off on Every Plumber Needs his Princess! This is the princess mosaic we did as a corollary mosaic with Some Italian Plumber. Both of these mosaics were our smallest, at only 3 of the 16×16 baseplates wide by 4 high. This Famous Frog is one of the mosaics we used for our event at BrickMagic this past weekend. Note the smaller version on the left, and the double-sized version that lots of kids helped us build. We’ll be posting more of the mosaics and more pictures from the event over the next few days.